There were no essential changes last night on the Russian front. This morning's communiqué again mentions large German concentrations at Sevsk, about seventy-five miles west of Kursk. (Since the first of this month, the Russian communiqués have been carrying regular reports from what is called "the district of Sevsk." These reports tell of scouting operations by opposing reconnaissance groups. Last week Russian scouts located a big concentration of German tanks, and these were shelled. This morning the communiqué speaks of a big enemy infantry column near Sevsk.) When Red Army scouts discovered the column, the artillery opened up on it. Two German battalions were dispersed and partly wiped out. The district of Sevsk is a good one to keep an eye on. This morning I talked with some of the men who attended, and they said that everyone, including Stalin, enjoyed himself. The banquet was attended by the British ambassador and military missions as well as the American diplomatic and military representatives in this country. Besides Mr. Stalin, the Russian dignitaries at the dinner included Mr. Molotov and three of the Soviet Union's most eminent military leaders—Marshal Voroshilov; Marshal Novikov, chief of the Red Army's air forces; General Golikov, who led the Red Army's drive at Voronezh last winter; and Admiral Kuznetzov, head of the Russian fleet. The banquet was held in the Catherine the Great room at the Kremlin, a big white marble banquet hall lighted by shining rock-crystal chandeliers. 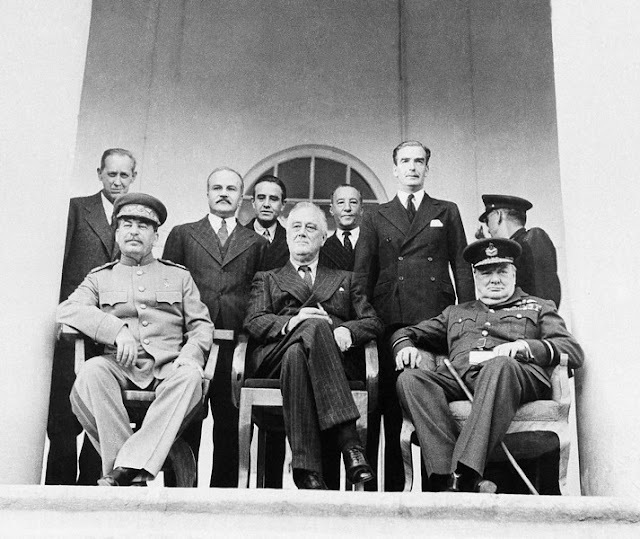 The principal guests were seated at a long table, with Stalin seated in the center. Mr. Davies was on his right, and the British ambassador, Sir Archibald Clark Kerr, sat on his left. Across the table directly opposite Stalin sat Mr. Molotov and Admiral Standley, the American ambassador. There were eighteen toasts drank last night—Stalin did his—toasting in red wine, although most of the guests stuck to vodka. Stalin made only one toast last night, and it was a good one. He lifted his glass and simply said: "To the armed forces of America and Britain." Then General Mike Michaelis, the American military attaché here in Moscow—and a good guy—acting in his capacity as representative of the United States Army, lifted his glass and said "to the Red Army." At this Stalin got out of his chair and walked several steps to the General and clicked glasses with him. It was the only such gesture that the Russian Premier made all evening. Then Admiral Standley made what is regarded as the most significant toast of the evening. America's white-haired ambassador got to his feet and said: "Here's to the friendship and cooperation of the Soviet Union, Britain, and the United States after the war." After Admiral Standley sat down, the British ambassador immediately got to his feet and seconded the Admiral's toast with another, drinking to the mutual two-way cooperation among the governments.